Our admiration for the pointer is anchored in our youth when we fell in love with this beautiful bred but were, at that time, not able to keep one. In 2003 we get in touch with our pointerfriends of the Crown Star's breeder in Belgium. 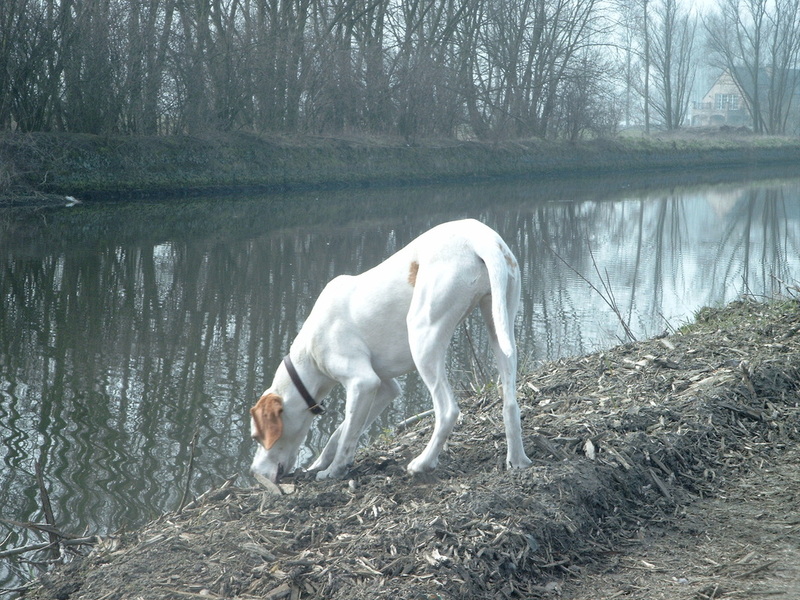 Thanks to their great knowledge, experience and enthusiasm, we were quickly convinced to make some changes in our lives for the presence of our first dog & pointer: Crown Star's Dayla. She was a real wonder to us: a new way of living, a dream came true. For sure, Crown Star's Dayla inspired us to learn more about this beautiful bred and it was soon clear that we had a future in breeding English Pointers, which we saw as a big challenge ! In 2008 we had a beautiful litter with Dayla, sired by Lokmadi Henry Morgan (Jaz), a son of the famous Lokmadi Nick The Brief. 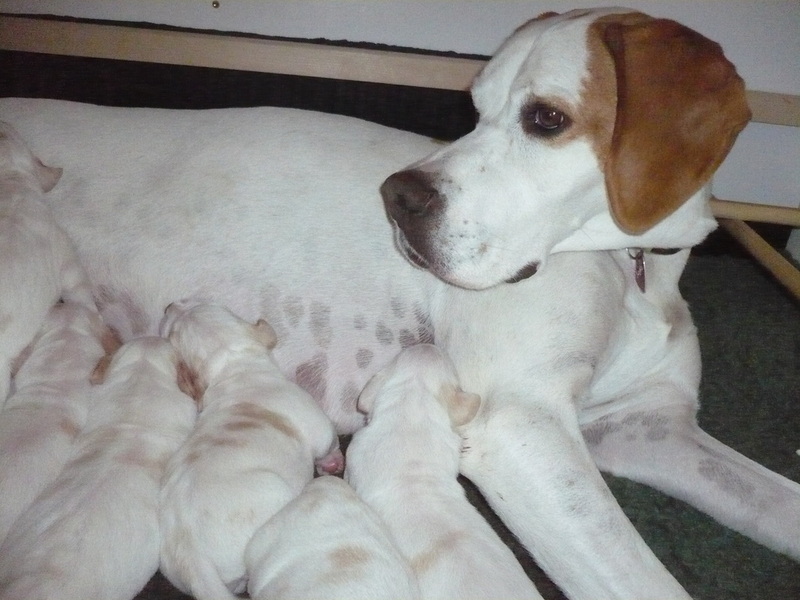 Five glamorous orange/white and two lemon/white puppies were born and found a home with lovely families. One gorgeous orange/white girl, named Crown Star's HEAVEN, stayed with us and let to us being introduced to our first handling and international show experiences with great succes. In 2011, our first INTERNATIONAL BEAUTY CHAMPION was born - Crown Star's HEAVEN (see page Heaven). Now it started for good ... ! The target was set, ... the vision was clear ... the ambition was there !